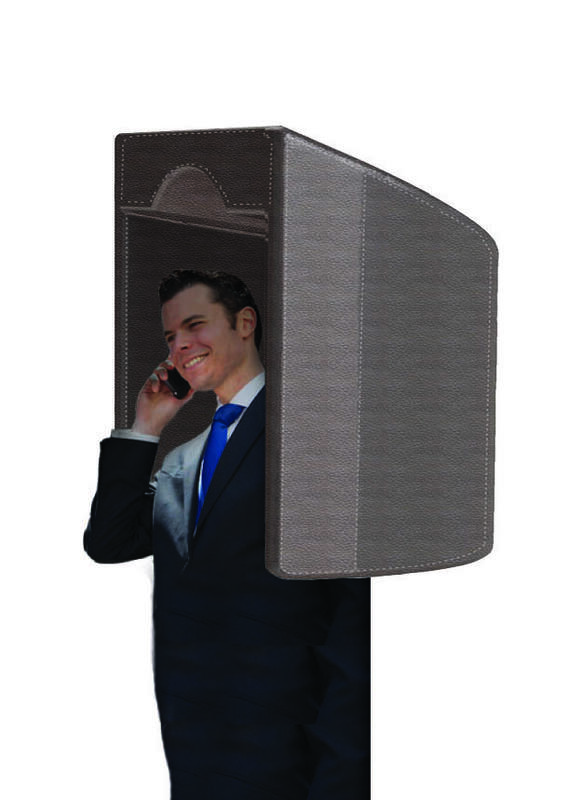 The new T100’Mobo’ acoustic wall mounted hood has been designed to reduce the disturbance and irritation of mobile phone use in public spaces by creating a zone specifically for conducting mobile phone conversations. By focusing mobile phone use to an acoustic hood, users can speak with increased privacy and reduced distraction from surrounding noisy environments whilst at the same time not disturbing other people with the conversation. The T100 has been designed to blend in with the interior design of hotels, restaurants, casinos and other public spaces. The hood comes with a leather cover available in various colours or alternatively can be supplied without, allowing you to cover it in your desired fabric. The hood can also be adapted with extras to become an information point, face talk zone and a place to have conversations whilst keeping your mobile charged. Price from £129.00.